Our vision is to become an institution that produces students who are academically, emotionally, and socially prepared to succeed in all facets of life. to become lifelong learners, and productive, responsible citizens. 1. Teachers, staff, administrators, parents, students and community members share in the responsibility for providing a supportive, cooperative, and open learning environment within our school. 2. Clear goals and high expectations for student achievement should guide the development of the curriculum and the design of challenging instructional strategies and learning activities. 3. The school climate must reflect a well maintained, well disciplined, and safe learning environment. 4. Each student is a valued individual with physical, social, emotional, and intellectual needs. 5. Students should have a clear understanding of and adhere to all rules, policies, and procedures. 6. Students learn best when they accept responsibility for their learning, behaviors, actions and when they are in an orderly and safe environment. 7. All students learn in different ways and should be provided with a variety of instructional approaches to support their learning. 8. Education should provide an environment in which all students are given equal opportunity to learn. 9. Every child is worthy of respect, consideration, and our best professional guidance. 10. Students should be provided an opportunity to develop proficiency in academic, social, and technical skills in preparation for future educational experience. 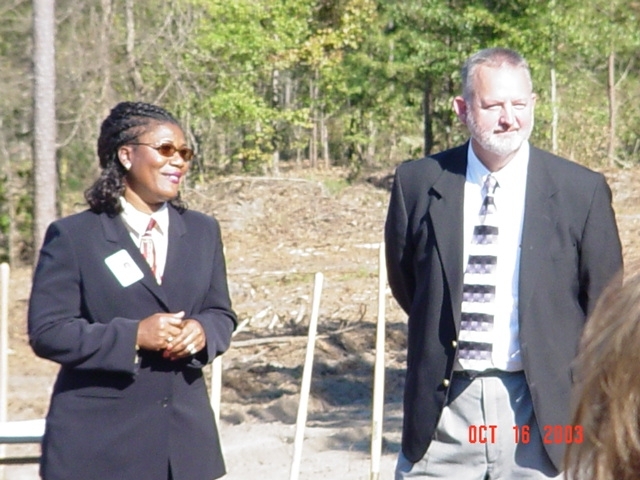 Groundbreaking for Huntington Middle School occurred on October 16, 2003. Construction began shortly after, and teachers moved their belongings in during July, 2005. The doors opened for school on August 5, 2005 with a total staff of 114 and a student population of about 870. 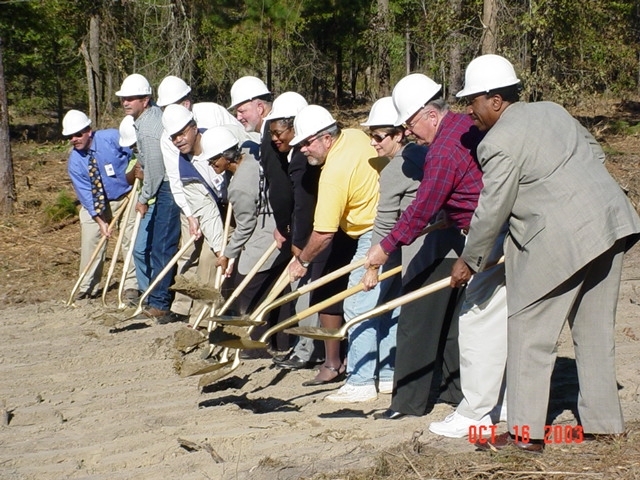 Members of the HCBOE join in the official groundbreaking.